He also passed on a quotation that I had never heard before but which I really liked – and will of course quote from now on. It is from William Gibson, the science fiction writer, who apparently coined the name – ‘cyberspace’: “The future is already here – it is just unevenly distributed”. 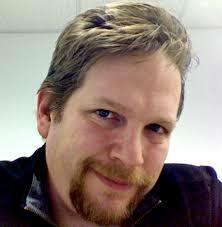 Previous post: Chris Brogan in Doncaster! Next post: Can doctors embrace a portfolio career?